Radiology Associates, L.L.C. brings more than 65 years of quality radiology care to South Louisiana. The 23-member group service the greater Baton Rouge Metropolitan Area and surrounding communities with full-service Diagnostic and Interventional Radiology. Cutting-edge, minimally invasive procedures such as Uterine Fibroid Embolization, Cerebral Aneurysm Coiling, and Tumor Radio-Embolization offer alternatives to traditional surgery. 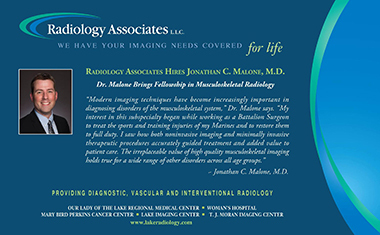 We are committed to providing the highest-quality, state-of-the-art imaging and intervention for you, our patient, and to work closely with your referring physician for optimal communication and care. 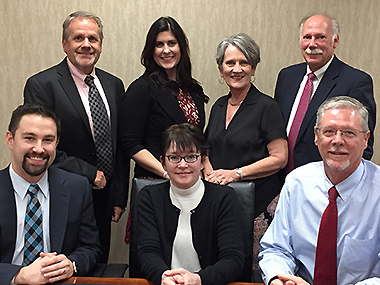 Radiology Associates' administrator Kim Singletary was elected to MGMA—Baton Rouge Chapter Board as Secretary. "Kim has been an integral part of the Radiology Associates team for many years and has a wealth of knowledge in our industry," says Scott Schuber, MD, Radiology Associates' Managing Partner. "We are confident she will be a valued new member of the MGMA—Baton Rouge Chapter board." "With over 30 years of healthcare industry experience, I am honored to serve as the 2019 Secretary for MGMA—Baton Rouge Chapter," Kim Singletary says. "I have learned so much from the organization. I am excited to give back and support my colleagues in the Baton Rouge healthcare community." MGMA—Baton Rouge is one of six local chapters affiliated with MGMA—Louisiana, state chapter of MGMA national. MGMA, and its associated state and local chapters, is a professional association for medical executives and managers dedicated to supporting the professional growth and development of its members and, in turn, the medical organizations with which they are affiliated. As a patient, you may not always see the radiologist who is providing your care—especially if they are "seeing" you by way of your X-Ray, MR, or CT imaging study. In celebration of #DoctorsDay, we want to recognize the service and contributions our radiologists provide in interpreting imaging studies and performing procedures so essential to our patient's healthcare. 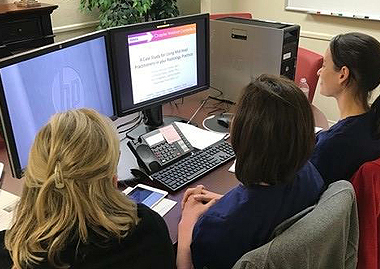 We are so proud that these two members of our PA team were featured as presenters for the Radiology Business Managers Association (RBMA) Delta States Chapter webinar "A Case Study: The Success of the Physician Assistant in Radiology" on Tuesday January 22, 2019. Participates in the webinar were members of National RBMA. Our PAs are highly valued members of our clinical team at Radiology Associates. Kristy Harrison and Victoria Dupuy did an excellent job spotlighting how radiology practices can effectively use PAs in delivering excellent patient care. 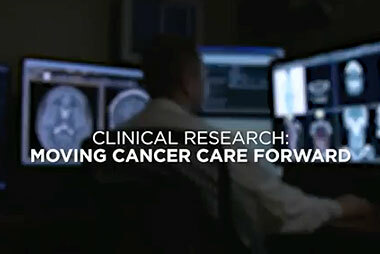 •	BE/BC teleradiologist for overnight and weekend shifts. Does not need to be local. Radiology Associates, LLC services the Baton Rouge Metropolitan area offering full-service diagnostic and interventional radiology services to several facilities including a large tertiary care hospital, a cancer center and subspecialty woman's facility. Baton Rouge is a family oriented, vibrant college town offering a wide variety of activities and excellent southern cuisine. It is home to multiple colleges including the state flagship university, LSU. Competitive compensation with opportunity for additional income via internal moonlighting. Flexible work schedule with excellent benefits. Visit www.lakeradiology.com to learn more about our practice. If interested in this opportunity, please send a copy of your CV to Tim Barrett at jobs@lakeradiology.com. 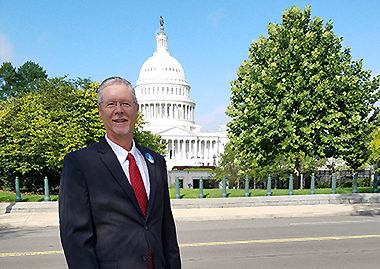 Radiology Associates' Administrator Tim Barrett Participates in RBMA's 2018 Hill Day. Radiology Associates CEO, Tim Barrett, CPA joined other Radiology Business Management Association colleagues participating in the RBMA 2018 Hill Day by visiting with Senators and Congressman to advocate for better access to care for radiology patients. Tim Barrett, CPA, CEO of Radiology Associates, LLC, is the Secretary/Parliamentarian of the Radiology Business Management Association (RBMA) Board of Directors for the 2018-2019 term. 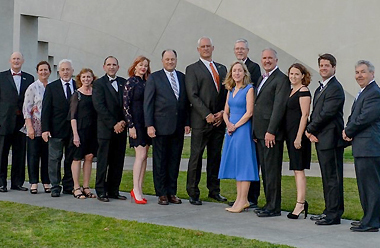 The RBMA Board of Directors met and elected its new officers for 2018-2019 at PaRADigm, their annual conference held in San Diego this spring. • Carol Hamilton, MBA, SPHR, FACMPE, FRBMA, West County Radiological Group, Inc.
Tim Barrett, CPA, and CEO of Radiology Associates, L.L.C. was selected as the recipient of a Special Recognition Award. Tim received the award at RBMA's annual Paradigm conference in San Diego. 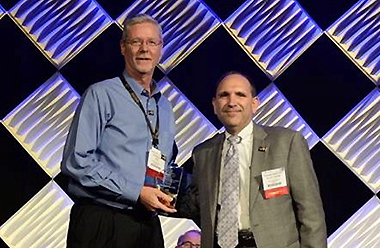 Each year at its annual conference, RBMA's President is afforded the opportunity to bestow an award on a deserving RBMA member for his or her service to the organization, colleagues, and profession. This honor is in recognition of Tim's service to RBMA as he has "gone above and beyond when it comes to Progress Through Sharing." Tim's involvement in leading the RBMA Chapter initiatives cannot be overstated. Chapters are a key element for RBMA's message and growth and Tim played a key role in that development. 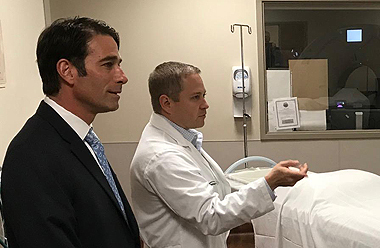 On October 9th we were honored to host Congressman Graves for a tour of the radiology departments at Our Lady of the Lake Hospital and at Mary Bird Perkins Cancer Center. We shared how radiologists deliver amazing hands-on patient care, as well as utilize a variety of medical imaging technology. Radiology Associates, LLC is proud to Take the Fight Forward and support Mary Bird Perkins-Our Lady of the Lake Cancer Center at The Taste on Wednesday, March 29. Dr. Ted Collins, a member of Radiology Associates from 1973 until 2008, passed away on March 24, 2017. He was from Jonesville, Louisiana and was a Captain in the U.S. Air Force from 1954-1960. He then attended LSU School of Medicine completing his internship and residency at Charity Hospital. He joined RA in 1973 after working for several years in private practice in Columbus Mississippi and Ochsner Clinic. "Dr. Collins was a senior member of the group when I joined in 1996," says Dr. Hayden. "He was inspirational in his work ethic. He worked hard, never complained and was respectful to all. He will be missed by all who knew him." Dr. Dan McNeill, former partner with RABR adds, "Ted was a great man." Dr. Roger West, also a former RABR partner adds, "He was a great radiologist and I'm glad I had a chance to work with him." 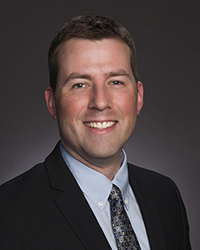 Tim Barrett, CPA with Radiology Associates, L.L.C. in Baton Rouge has been named President of the Board of Directors for MGMA—Baton Rouge. Other officers are Vice President Tom Baggett, MPA, FACMPE an independent healthcare consultant in Baton Rouge; Treasurer AnnaBeth S. Guillory, MBA with Ochsner Health System in Baton Rouge, and Secretary Lee Cox, MBA, BSN, RN, CMPE with Ochsner Health System in Baton Rouge. Additional Directors are 1st Past President Steven R. Winkler, MHA, FACHE, with Hematology/Oncology Clinic in Baton Rouge; 2nd Past President is Edie Tucker, COPM, with Baton Rouge Ear, Nose & Throat; and 3rd Past President is Barbara D. LaBauve, with OLOL Pediatric Specialty Clinic. Front row (L to R): Lee Cox, Edie Tucker and Tim Barrett. Back row (L to R): Tom Baggett, AnnaBeth S. Guillory, Barbara LaBauve and Steven Winkler. 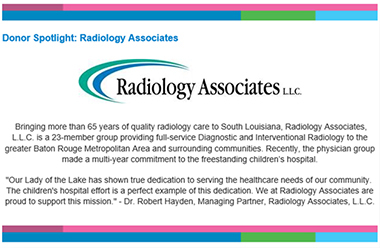 Radiology Associates has made a multi-year commitment to Our Lady of the Lake Children's Hospital. The Radiology Business Management Association (RBMA) is an industry-leading organization comprised of more than 2,400 professionals who focus on the business of radiology. 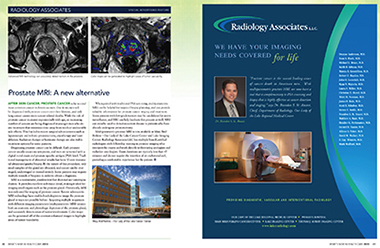 RBMA members support diagnostic imaging, interventional radiology and radiation oncology providers in the full spectrum of practice settings. RBMA connects members nationwide to valuable information, education, and practice-related resources and serves as an authoritative industry voice on behalf of shared member interests. 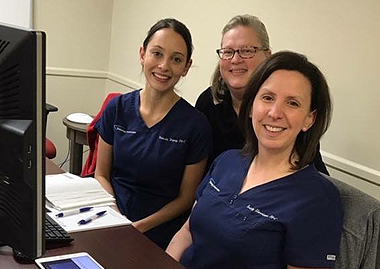 Radiology Associates participated in the 16th annual Irene W. Pennington's Wellness Day for Women sponsored by the Pennington Biomedical Research Center and Foundation. 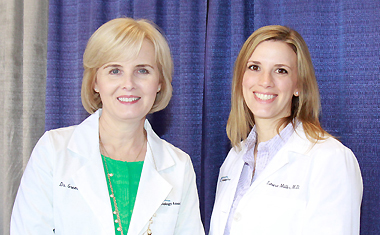 Dr. Marcia B. Gremillion and Dr. Laura S. Miller attended Wellness Day with Radiology Associates and spoke with attendees. The Wellness Day for Women provided free health screenings, exhibits and educational sessions for women ages 18 and older. 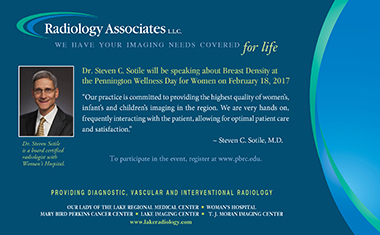 3D mammography is an exciting technology to aid in the detection of breast cancer. In support of Breast Cancer Awareness Month, early detection is an important factor in surviving breast cancer. If you haven't had a mammogram within the past year, call and schedule it today! 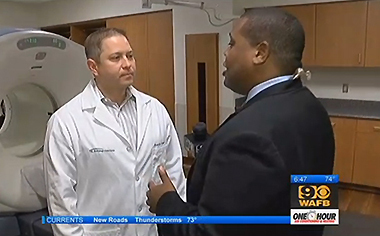 Dr. Gremillion and Dr. Ruiz explain mammograms in this video. Congratulations to Radiology Associates' CEO Tim Barrett for winning the Calhoun Award at RBMA — Radiology Business Management Association! Awarded for Dedicated Service. 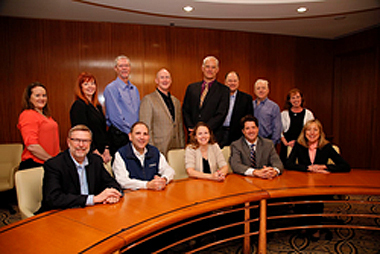 The first RBMA steering committee met in 1968 in Chicago under the guidance of Dr. Calhoun. His business manager, Maxine Williams, directed the organization for many years. RBMA was formed for two purposes: to provide for the development and recognition of radiology business managers, and to improve the administration of radiology practices, enabling radiologists to concentrate on providing their services to the public, thus holding down the costs of those services to the public. RBMA seeks to fulfill its purposes through the education of its membership, other healthcare professionals and the public at large. 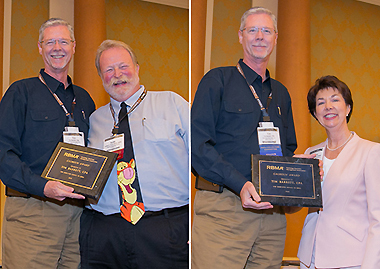 The Calhoun Award is for outstanding contributions to radiology business management and to RBMA.